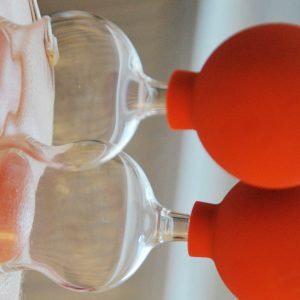 Cupping Massage Therapy or Dry Cupping is the use of medical-grade silicone cups placed on the skin to create suction, which uses a rubber pump to create the vacuum (suction) inside the cup. These are pliable enough to be moved from place to place on the skin and produce a massage-like effect. ASSIST WITH RELIEF FROM: Digestive disorders, Respiratory Disorders, Restrictive fascia, Pain syndromes associated with poor circulation.